1. Mount Securely on desk. 2. Draw out the automatic feeding carefully. 3. Press the button to open the clutch and insert pencil. 4. 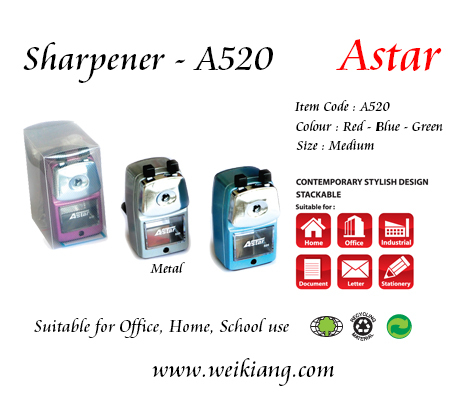 Turn handle to sharpen pencil until cutter turns freely.